Chimney caps are a vital part to a properly working chimney. The cap, which caps off the actual chimney liner, keeps rainwater and other debris from falling into your chimney. Also, most chimney caps have a wire netting that wraps around it that serves as a barrier to animals and birds that would otherwise try to make a nest within your chimney. That wire netting also serves as a catcher of large sparks that make their way up the chimney liner. Otherwise, those sparks would make their way onto your lawn or into the woods and could start a fire if the ground is not wet. It is important to get the right kind of chimney cap for your chimney in order to maintain the proper functioning of your chimney. Some chimneys will experience draft problems. There are certain types of chimney caps out there that will enhance the draft within our chimney. For the most part, however, a standard chimney cap will do, but it must be the right size in order to fit the chimney flue or chimney liner that it will be capping. 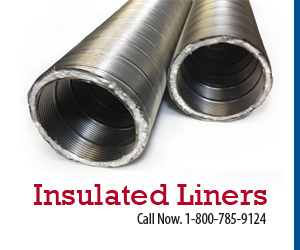 One thing to consider before choosing a cap is the type of chimney liner that you have. Terracotta or clay chimney liners can be fitted with caps that attach to the inside of the liner or on the outside. You can only use the outside-mounting chimney caps if the clay liner protrudes a few inches above the top of the chimney crown, otherwise there will be nothing to attach it to. For flexible metal chimney liners, the caps will be mounted on the inside. For outside-mount caps, you must measure the outside diameter of the liner. 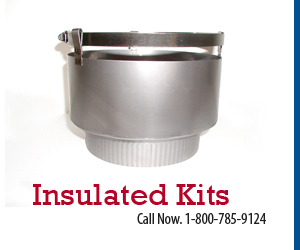 For the inside mount chimney caps you will obviously need the inside diameter measurement, for this type of cap should slide snuggly into the chimney liner. More than likely, you will not find a chimney cap with your exact measurements on it; however, the package will have a range of measurements. Simply choose the one with the range that your measurements are within. Now that you have chosen the chimney cap that is right for you, and done any necessary assembly, it is time to install it. For the installation, you will need a screwdriver that will work with the screws that come with the cap, a tall ladder, and an excellent comfort level with heights. Slide the cap onto, or into, the chimney liner and insert screws in the appropriate screw holes according to the directions. Attaching these types of chimney caps is a pretty standard procedure except that some will attach on the outside and others will attach on the inside. For inside mounts, be sure that the screwdriver that you take up the ladder with you will fit easily into the chimney liner while you are tightening the screws. 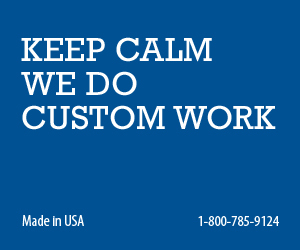 The fewer trips up and down the ladder, the more accident free your project will be. There are hundreds and hundreds of different types of chimney caps. They come in all sizes and shapes. Some will attach like the ones discussed above, while others will actually mount to the chimney crown. The type that attach to the crown are generally quite larger than the actual chimney flue, however they are known to hold up to the high winds that some chimneys experience a little better because they are anchored directly to the chimney with masonry screws. These large chimney caps are particularly useful when you have a large chimney with several flues in it. These caps can cap off all of the flues with one shot instead of having to install several chimney caps. For this crown-mounted type of chimney cap, you will need the measurement of the chimney crown. Then, you will want to select a cap that is a few inches smaller on every side so there will be sufficient space to put the screws in. Also, there should be a few inches of clearance between the sides of the chimney liners and the sides of the cap. Another thing to consider is the amount of space between the underside of the top of the cap and the top of the flue. If there is not sufficient space for air to flow, then the chimney draft will be affected. Some of these types of chimney caps will include a masonry drill bit to drill the pilot holes. However, for those that don’t, you will need to have one that will drill a sufficient-sized hole for the screws that are included. Drilling a pilot hole is important for a couple of reasons: 1) it will be a lot more work to try and drill the screw directly into the concrete crown and 2) if you are able to get the screw started without a pilot hole, then you risk the chance of cracking the cement crown, which will cost more to replace than a single masonry bit would have cost. Center the chimney cap on the crown and mark where the holes are to be drilled. Remove the cap and drill the holes. Then, replace the chimney cap and insert the screws. This will take a good drill even with the pilot holes. Don’t overwork yourself trying to put the screws in with a screw driver, especially when working from a ladder. If you are unsure of what kind of chimney cap will be best for you, then do not hesitate to contact your local chimney professional. The right chimney cap can mean more efficiency out of your chimney. Who doesn’t want that?